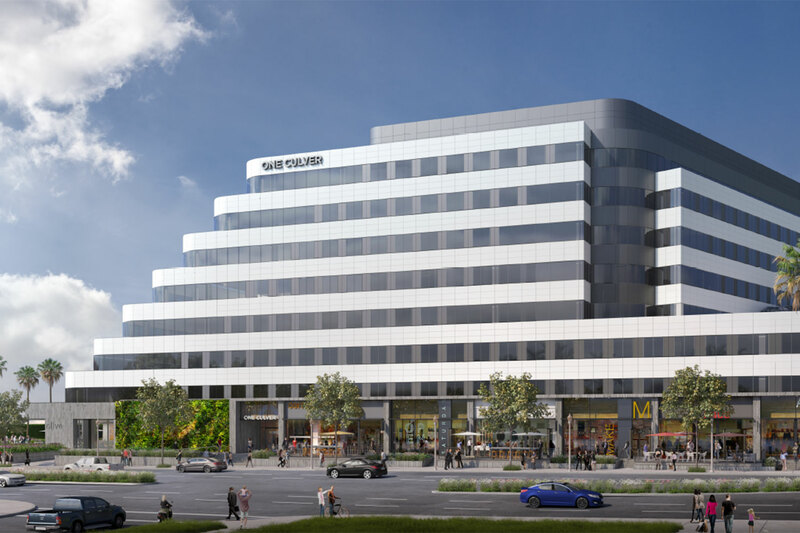 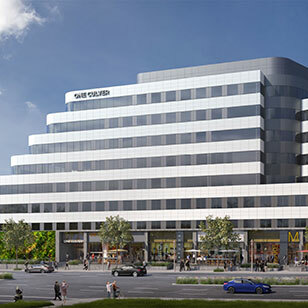 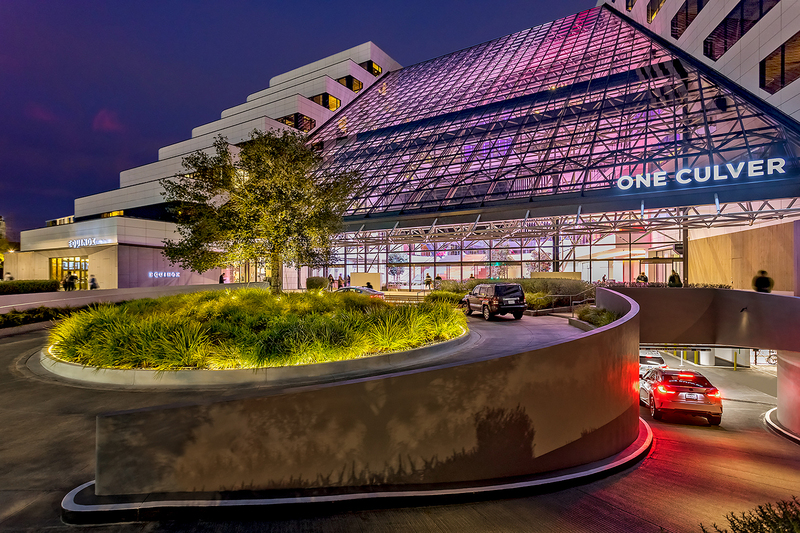 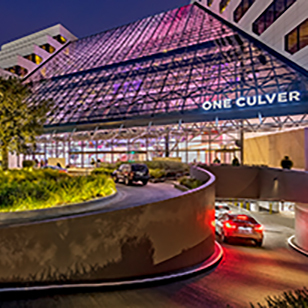 A distinctive landmark built in 1986, One Culver has completed an exciting renovation led by world-renowned Gensler & Associates and OJB Landscape Architects to transform the iconic property into a premier mixed-use development. 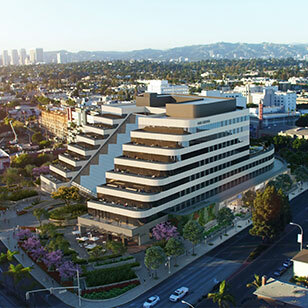 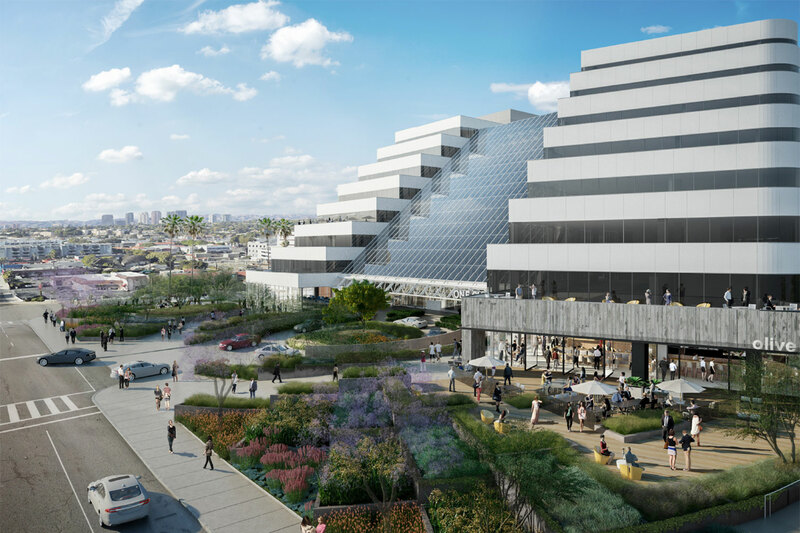 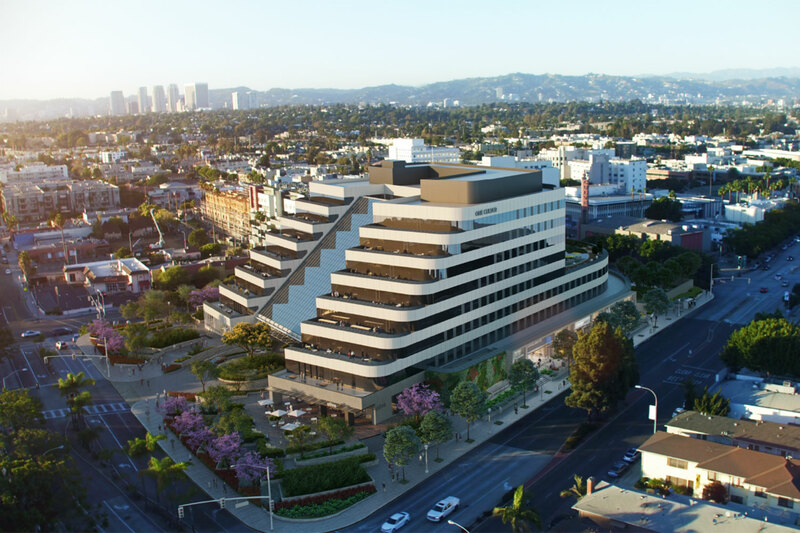 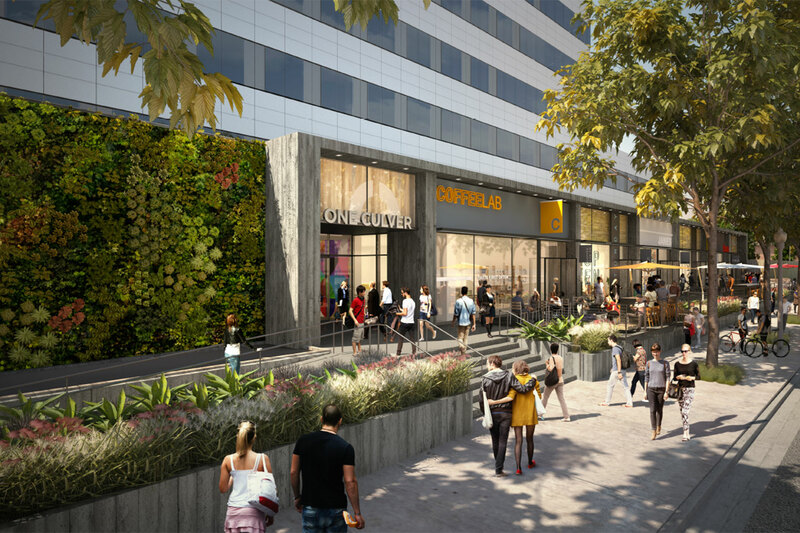 The property represents a rare opportunity combining office, creative mixed-use space, retail, restaurant and fitness centrally located to the amenities of Culver City and transportation corridors. 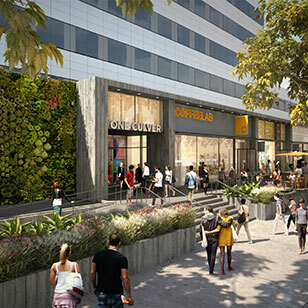 Landscape and hardscape courtyards are repurposed into collaborative community areas for a wide range of uses, including small group meetings, large scale corporate events, product roll-outs and civic events. 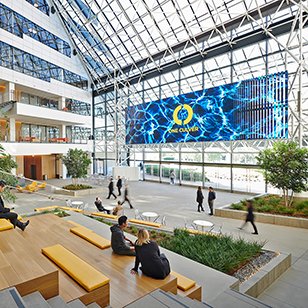 The new grand atrium space is an interactive and unique common areas in Southern California including a 90’ ceiling and 70’ state of the art media wall. 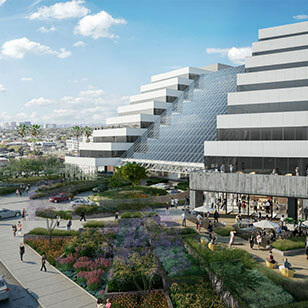 Approximately 21,000 square feet has been designated for cafes and retail shops that reflect and extend the uniqueness of the Culver City community along Culver Boulevard. 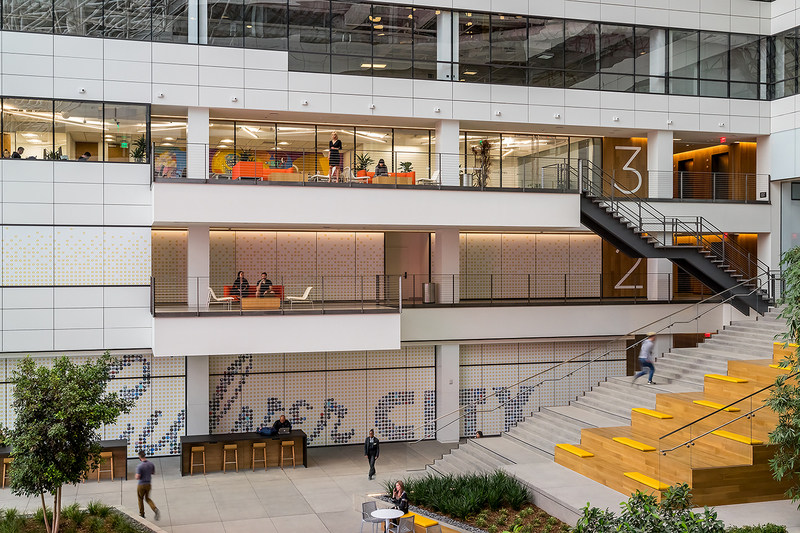 A new 13,000 square foot glass ‘jewel box’ studio space on the first floor. 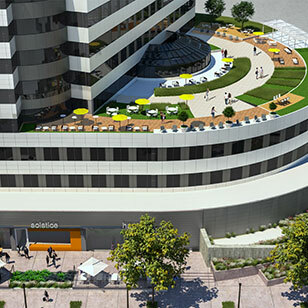 Additional building entries to enhance the connectivity of the building to the community. 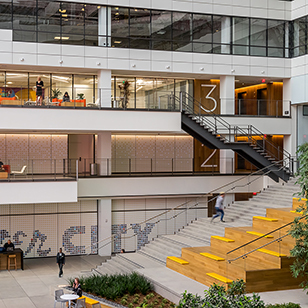 New modern, open stairways improve accessibility of lower level office spaces to the lobby, plaza, retail and collaborative areas. 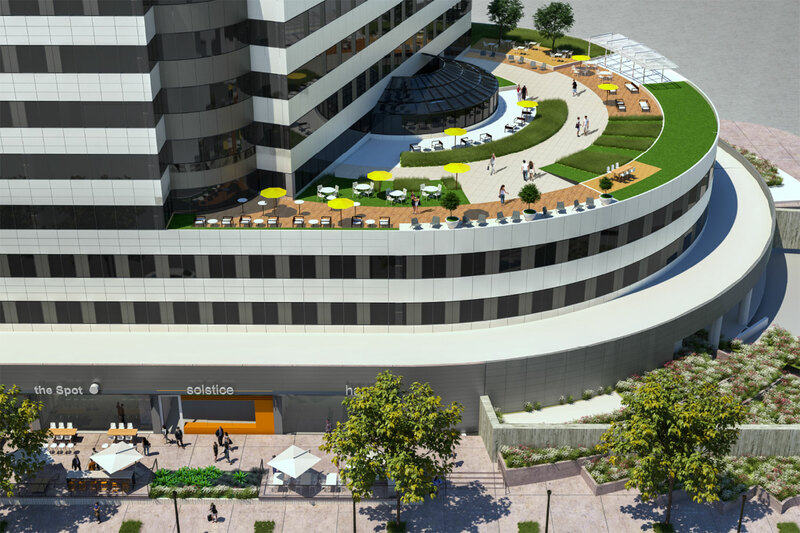 New creative way-finding and branding throughout the property.